"Locally Owned; Serving with Dignity, Compassion and Excellence"
Jane Elizabeth Morrison, 55, of Jefferson, Wisconsin lost her battle with cancer on June 14, 2018 at 1:40am. Jane fought for 6 difficult years with multiple myeloma under the expert care of Dr. Natalie Callander and her team at UW Madison Hospital. Jane was born to Ronald and Grace (Stephans) Osley on April 8, 1963 in Lacrosse, WI. She graduated from Faith Baptist Christian School and earned her Associate Degree from Western Wisconsin Technical Institute. Jane met the love of her life, Clayton Morrison, in 1981 at Pillsbury Baptist Bible College. The two were married on June 29, 1985 and enjoyed 33 wonderful years together. Jane worked as a Probate Paralegal at Miller & Ansay, LLC (formerly Miller Law Office) for over 30 years. She loved her job, the people she worked with and the people she worked for. Miller & Ansay became like a second home to her and her family. Jane’s only desire in life was to have a warm loving family unit. 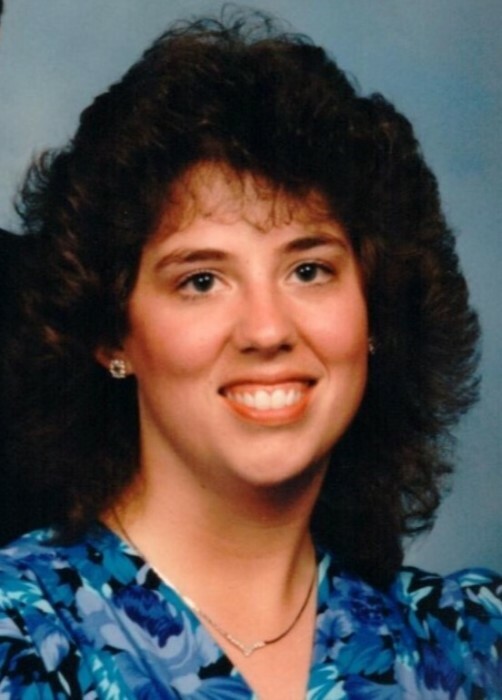 She was blessed with: 5 Children Matt, Clayton both of Lynchburg, VA, Kristin (Drew) DeLozier, their Son Trey (*and one on the way) of Jefferson, WI, Callie, a 2018 graduate of Jefferson High School, and Derek her 11-year-old son, affectionately referred to as her furnace. Derek spent many evenings cuddling with mom as she fought fierce cold spells during her fight with cancer. Jane’s whole heart was with her family, and if everyone was together it made for a perfect day. Her infectious and contagious laugh will never be forgotten by those who knew her. Jane was a born-again Christian who faithfully served at Calvary Baptist Church in Jefferson. She looked forward to and knew that one day she would be called home to heaven. She is survived by: her Mother Grace Brown; Father Ronald (Rose) Osley; Brother Mark Osley; Step-Brothers Scott (Kim) Brown and Jeff Brown; Half-Sisters Laurie (Scott) Schroeder and Debbie (John) Weaver; and Half-Brother Brian (Shannon) Osley. Jane is preceded in death by her Step-Father Robert Brown. A funeral service will be held at 11:00AM on Tuesday, June 19, 2018 at Calvary Baptist Church of Jefferson with Rev. Randy Arbogast, Rev. Rich Akins, and Rev. Larry Morrison presiding. Visitation will be on Monday, from 5:00PM to 7:00PM at Calvary Baptist Church and on Tuesday from 9:00AM until the time of service at the church. She will be buried at Ebenezer Moravian Cemetery in Watertown.